Expanded filtering options to help you select the right product for your application. 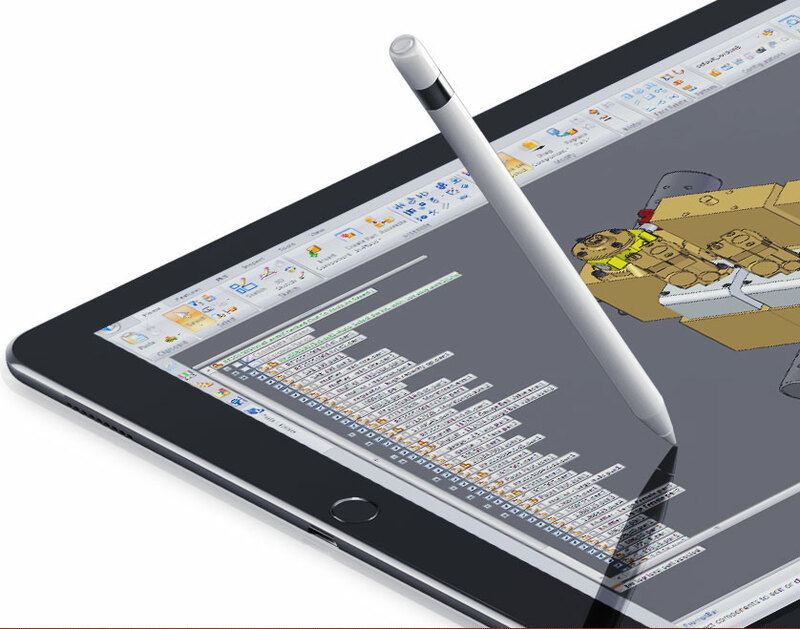 track 3D model downloads, save to a wish list & more! 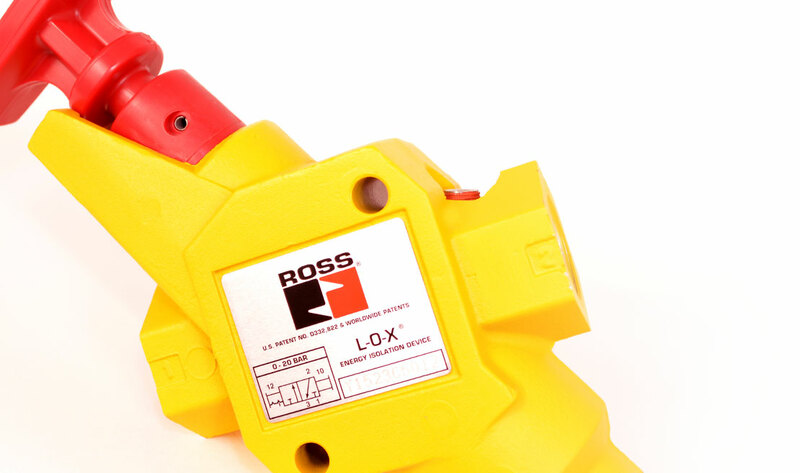 ROSS Controls® and concern for machine safety... the two go hand in hand. 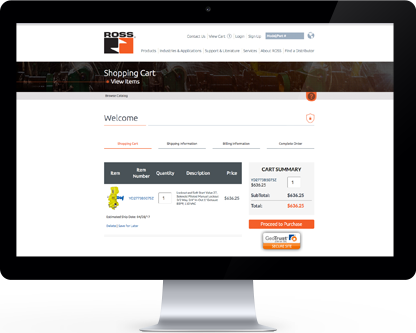 ROSS has been designing and supplying the "industry standards" of safety products for pneumatic energy isolation (LOTO) and control reliable double valves for the Press metal forming industry for clutch/brake applications and the general manufacturing sector for decades. Even before Federal and State Occupational Safety and Health Administrations (OSHA) existed, ROSS designed and supplied valves for energy isolation and mechanical press clutch/brake control valves that were later widely recognized as aids to companies for regulatory compliance in non-press applications. These are some of the most safety critical pneumatic valve applications in manufacturing today, and ROSS has been there to help make jobs safer for workers, helping to protect our customers' investments in machinery, and increase productivity. 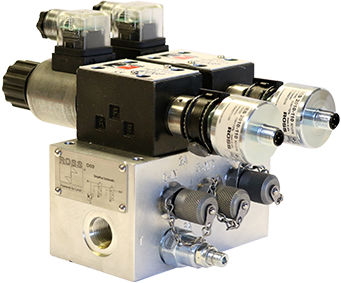 Pneumatic Energy Isolation is achieved with a manually operated valve in a system that stops the further input of a specific energy. Isolation devices for pneumatic systems are generally used in conjunction with a bleed device that is used to dissipate energy that may be downstream of the isolation device. 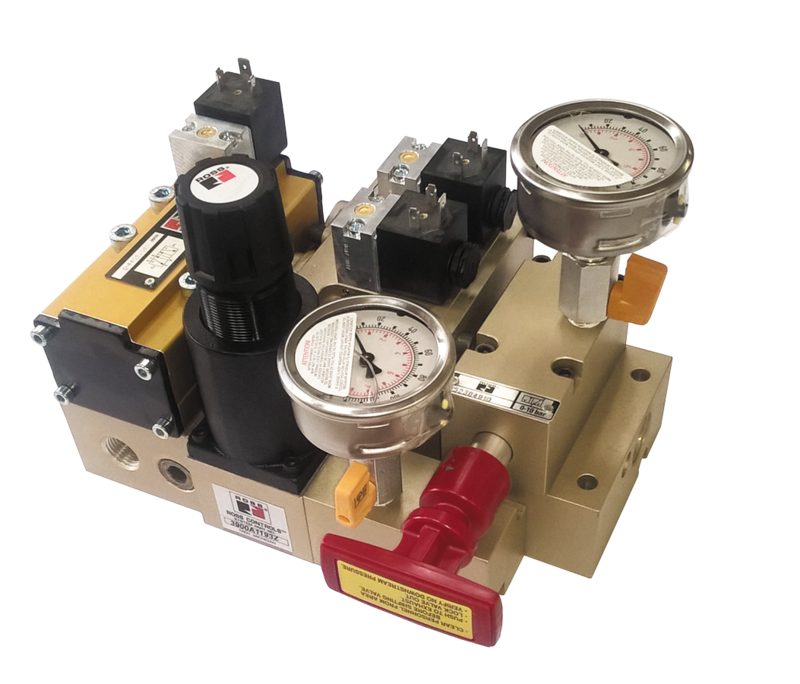 In most pneumatic devices, the isolation device and bleed device are combined into a single component that shuts off the supply of pneumatic energy and also exhausts downstream pneumatic energy from as far downstream as possible. A safe manufacturing environment must include a healthy respect for the, sometimes dangerous, interactions between man and machinery. This is reflected in the evolution in the once simple and now sophisticated safety-related valves. In pneumatic and hydraulic circuits where the primary concern is the removal of pneumatic or hydraulic energy from a device or system, additional dump or exhaust valves are typically incorporated specifically for this function. ROSS CrossMirror Double Valves provides control reliable cylinder/actuator control resulting in increased safety and savings. 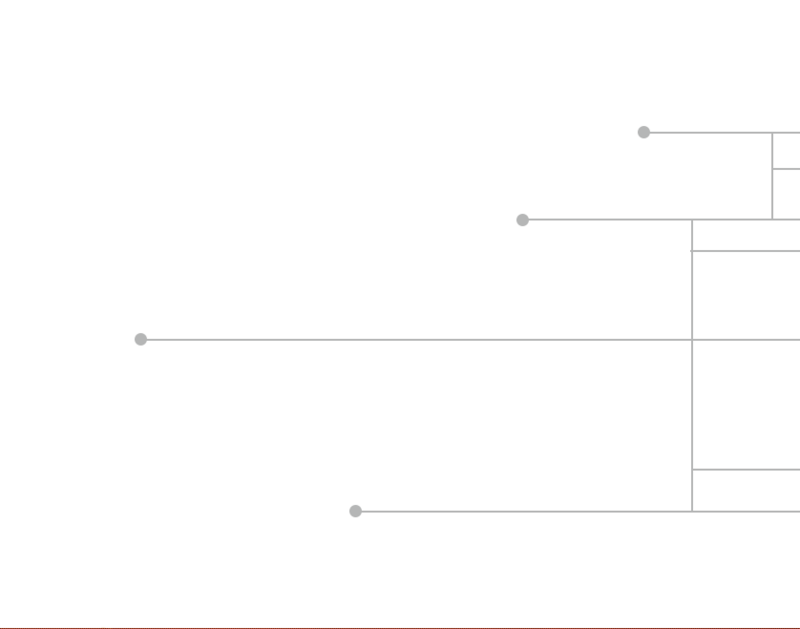 Typical safety designs look to remove the air to a machine or zone. If there is a single actuator hazard it can be controlled with a safety control valve providing point of use control. This provides not only safety but offers savings in air consumption and eliminates any downtime due to recharging the system. The CrossMirror valve is internally self-monitored and requires no additional valve monitoring controls. It also includes a status indicator switch (ready-to-run) to inform machine controller of the valve condition. This switch must be integrated into machine controls in order to prevent a run signal until the valve fault is cleared. These valves are used in a variety of applications including cylinder presses, potentially hazardous filling applications where spilling is not an option, and critical clamping applications. Cylinder applications must take into consideration what happens with the loss of air pressure and how will impact the safety of both man and machine. This is especially important with vertical cylinder applications. Pilot Operated Check Valves, otherwise known as PO Checks, are used wherever a high-flow or remotely controlled checking function is needed to provide cylinders to automatically stop in the event of the loss of electrical power or system air. 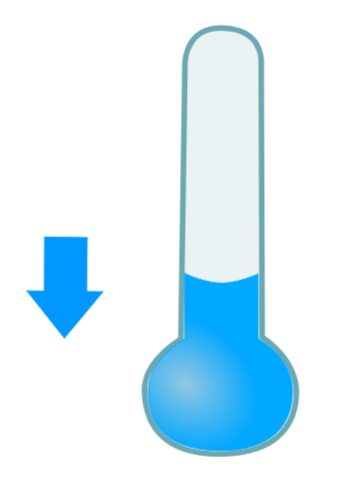 A pilot operated check valve is designed to trap pressure and hold a load in place. The design provides a positive force using the force of the trapped pressure to help hold the internal poppet seat in place. The trapped pressure will need to be exhausted safely to resume normal machine operation. In addition to single and dual valve options, ROSS Controls 27 Series PO Check Valves are offered with manual and remote trapped pressure relief options to provide a safe exhaust function. When you need the function of a standard product in a different package and need a solution in a hurry. These solutions are built to reduce costs, improve productivity, and provide a perfect fit. ROSS can repackage the existing, proven internal parts of standard products eliminating the need for life-cycle testing. 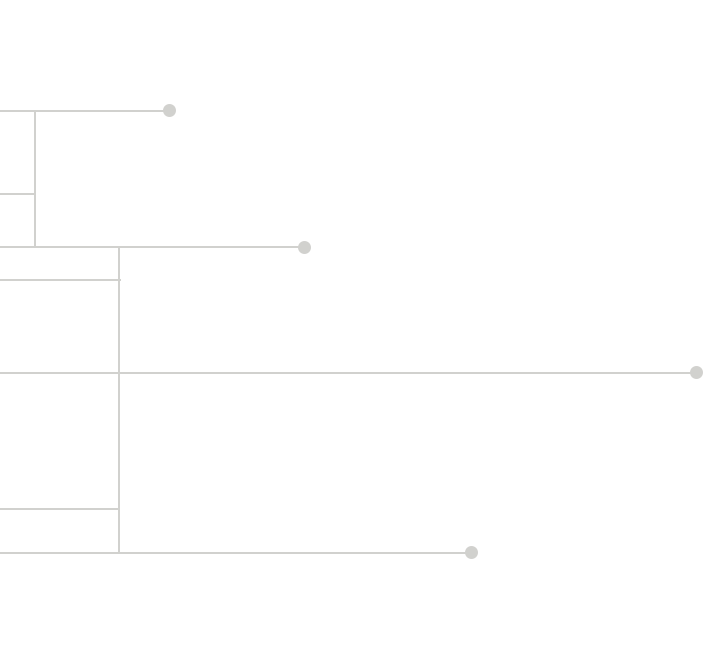 With our fully-automated manufacturing system that is truly state-of-the-art, the net result is a unique solution that is manufactured to your requirements and developed in days, rather than weeks or months. ROSS announces their M35 Series safety exhaust double valves are now DGUV Test Certified to Category 4, Performance Level e per the DIN EN ISO 13849-1. 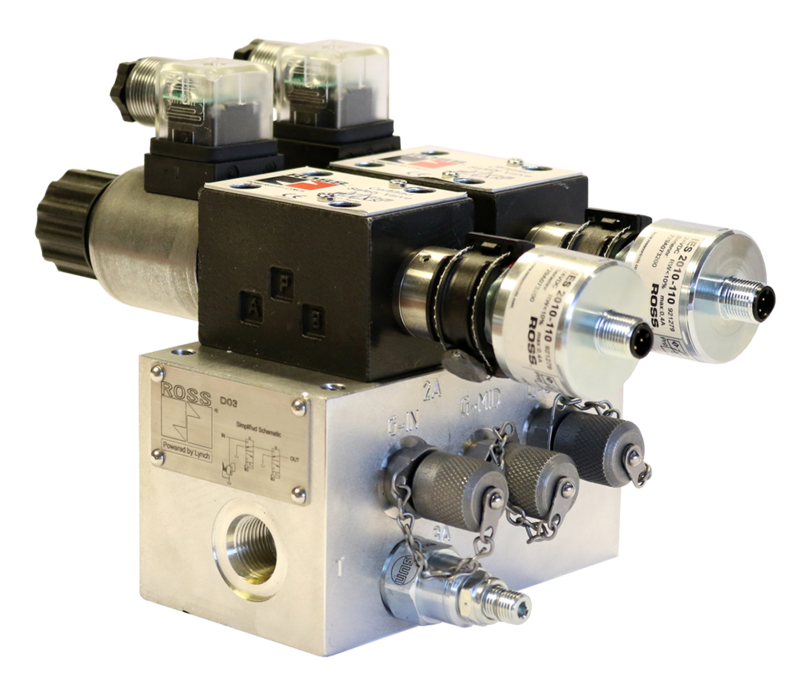 These pneumatic safety valves meet all global requirements for machine safety and are commonly used to exhaust the downstream air, to help meet stop-time requirements in machine guarding. ROSS Controls® is pleased to announce modernized low temperature ratings for many of our legacy products. 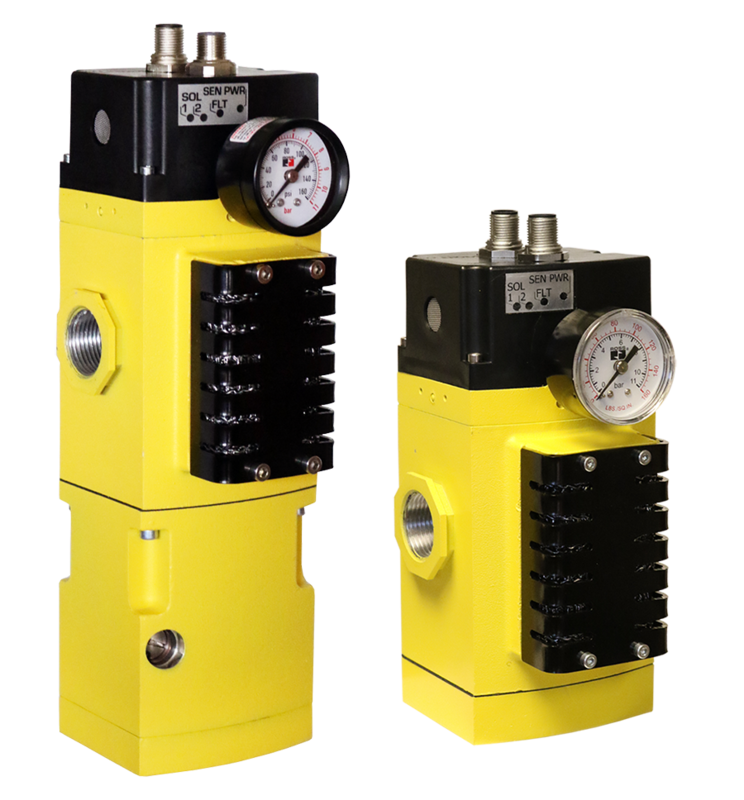 ROSS Controls® introduces its new Hydraulic Block & Bleed valve systems, 3/2 Safety Double Valves, designed for external monitoring for Safe Supply/Drain to Tank applications. 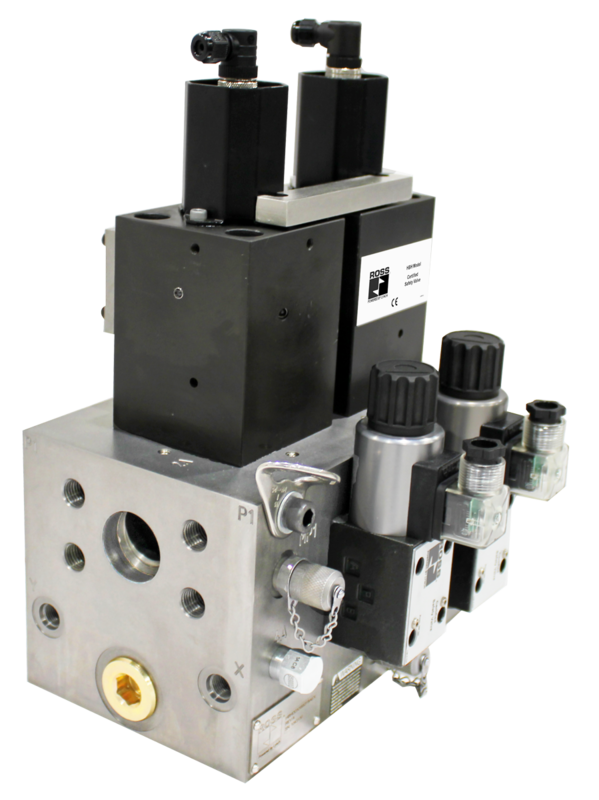 – ROSS Controls® introduces its new Hydraulic Block & Hold valve systems, 3/2 Safety Double Valves, designed for external monitoring, for Load Holding safety applications.